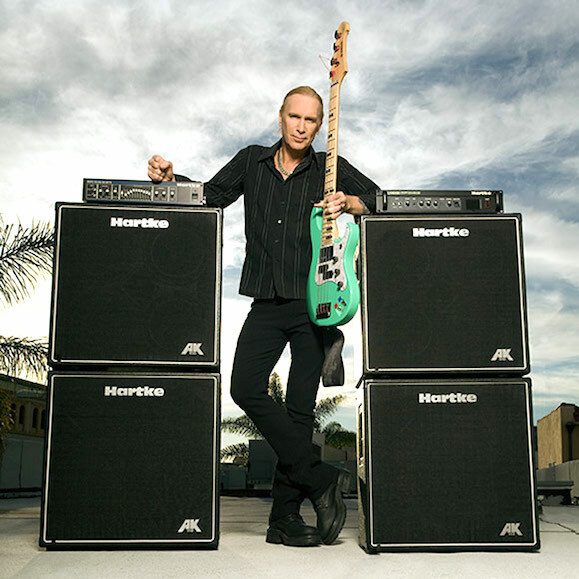 Billy Sheehan has played bass on dozens of records and toured all over the world for many decades. His unique and original style of playing has been celebrated and documented everywhere. His playing, singing, songwriting, and contributions to his many recordings have resulted in millions of records sold, Platinum and Gold status worldwide, Reader’s Poll Awards too many to list, Number #1 hits, Number #1 Video’s, sold-out shows, and most importantly the mutual love, friendship and respect between himself and many millions of fans around the globe. Starting in his hometown of Buffalo, NY in the early ’70’s with the now legendary hard rock trio Talas, he went on to join David Lee Roth in the summer of ’85 when Dave quit Van Halen to go out on his own. Along with Steve Vai & Gregg Bissonette, the legendary Eat ‘Em and Smile record and tour went on to platinum status and sold out shows everywhere. Leaving in 1987 to start his own new band, he founded Mr. Big, who went on to achieve a number one hit in fourteen countries, staying number 1 in the USA BillBoard charts for 3 solid weeks. Along with Mr Big members Eric Martin, Paul Gilbert and Pat Torpey, they recorded and toured the world for a decade more, till disbanding in 2002. During that time he found time to start “Niacin” a fusion/blues trio based around the Hammond B3 sound that featured drummer Dennis Chambers. He rejoined his old bandmate Steve Vai for several tours as well as Steve’s “Real Illusions” record and tour. After he released several solo records and much more, Mr Big reunited in 2009 and performed a sold-out world tour, and then recorded “What If…” in 2011…to rave reviews and another sold-out world tour. 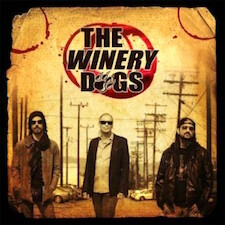 Most recently Billy joined Mike Portnoy and Richie Kotzen to form “:The Winery Dogs”. Their first release in July of 2013 entered the BillBoard Top 200 Albums at #27…and has been received everywhere with spectacular reviews and sold-out shows. With his history of live performances and/or recordings with Talas, UFO, David Lee Roth, Mr. Big, Niacin, Steve Vai and now The Winery Dogs, he has had ahuge and undeniable influence on modern bass playing that has spread all over the globe, and will continue for many years to come. He’s also a featured artist on the bass guitar instructional website Jamplay.com. 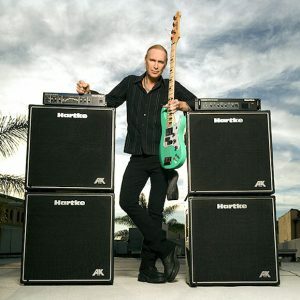 William “Billy” Sheehan (born March 19, 1953 in Buffalo, New York) is an American bassist known for his work with Talas, Steve Vai, David Lee Roth, Mr. Big, Niacin, and The Winery Dogs. 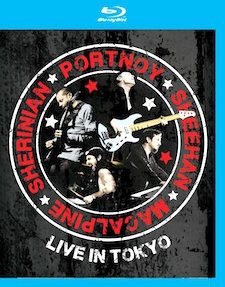 Sheehan has won the “Best Rock Bass Player” readers’ poll from Guitar Player Magazine five times for his “lead bass” playing style. Sheehan’s repertoire includes the use of chording, two-handed tapping, right-hand “three-finger picking” technique and controlled feedback. Billy Sheehan’s first electric bass was a Hagström FB, which was soon joined by a Precision bass similar to Tim Bogert’s. After acquiring the Precision bass, he removed the frets from the Hagström. Over the years, he heavily modified the Precision bass as well, adding a neck pickup and additional support for the bolt-on neck, which Sheehan considers its greatest weakness. The neck pickup was added for what Sheehan referred to as “super deep low end” modelled after Paul Samwell-Smith of the Yardbirds. The Gibson EB-0 type pickup in the neck and the original split Precision bass pickup each have their own separate output jacks on the bass itself, allowing for control of the tone via the bass. This bass has been retired, but he affectionately refers to it as “The Wife”. Sheehan’s signature Yamaha bass is patterned after this instrument. Sheehan also uses two amps to achieve his signature tone (as do Chris Squire of Yesand Doug Pinnick of King’s X), one with full distortion and notch filtering to sound more guitar-like for solos, and one super-clean for the low end of the neck pickup. Billy Sheehan’s first full-time band was Talas, a power trio with Dave Constantino on guitar and Paul Varga on drums. The band played a mixture of cover songs and original material, and all three instrumentalists alternated on lead vocals. 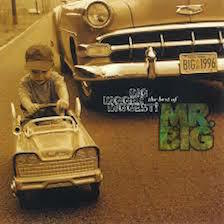 Mr. Big is the self-titled debut album by the American hard rock supergroup Mr. Big. Produced by Kevin Elson and Val Garay, the album proved a partial commercial success, reaching the 46th slot on the Billboard 200 chart. 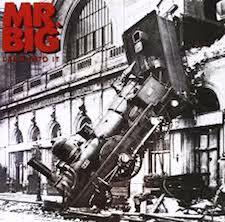 Lean into It is the second studio album by the American rock supergroup Mr. Big, released in 1991. The band’s breakthrough release, Lean into It peaked at number 15 on the Billboard 200 charts, while the single “To Be with You” became the band’s first and only song to hit number 1 on the Billboard Hot 100. Mr. Big Live is a recording of a live concert by the hard rock band Mr. Big held March 28, 1992 at the Warfield Theatre in San Francisco, California. The concert was released as both a compact disc and a video. 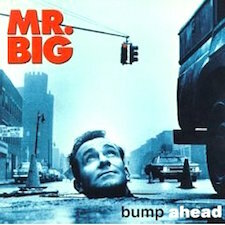 Bump Ahead is the third studio album by the hard rock band Mr. Big. 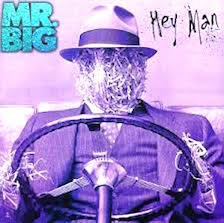 Hey Man is the fourth studio album by the hard rock band, Mr. Big. Big, Bigger, Biggest! 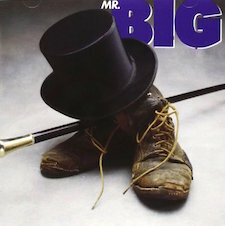 The Best of Mr. Big is a compilation CD and DVD by the hard rock band Mr. Big. CD released in 1996 and DVD released in 2009. 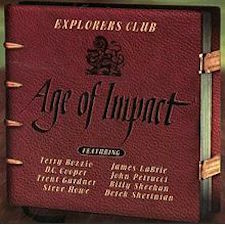 Age Of Impact is Explorers Club’s first album, released in 1998. The album included guest appearances by Steve Howe, John Petrucci, James LaBrie, and Terry Bozzio. 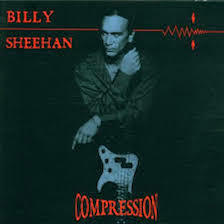 Compression is the first solo album by bassist Billy Sheehan, formerly of Talas, David Lee Roth, and Mr. Big. 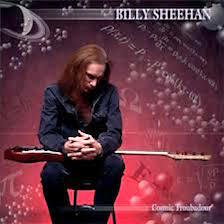 Cosmic Troubadour is the second solo album of bass virtuoso Billy Sheehan. 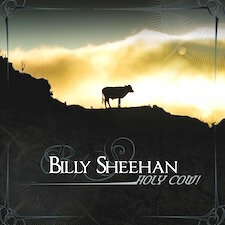 In April 2009 Sheehan released his third solo album, Holy Cow! 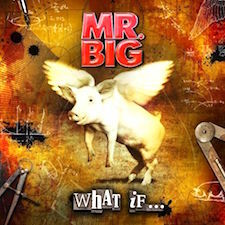 “What If” is the seventh full-length studio album by the American rock band Mr. Big, which was released on January 21, 2011 through Frontiers Records. It was the band’s first album since their 2009 reunion, their first album in 10 years. 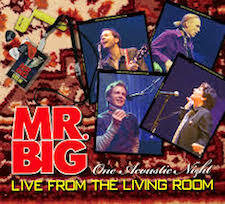 Mr. Big wanted to present something different than they’ve ever done before, thus the idea of an acoustic show came about and a string quintet was brought in to enhance the project even more. The result from that magic night in Tokyo is now here: 10 Mr. Big classics in a completely new and fresh setting and a unique portrait of the band during their very first acoustic show. Live in Tokyo August 30th 2013. The Winery Dogs is the debut album by the American hard rock supergroup of the same name.